well, it does fit in with everything i’ve heard about s3...in a good way. Sounds promising. Hopefully the songs are better leading into the ending and we get more full orchestral pieces. 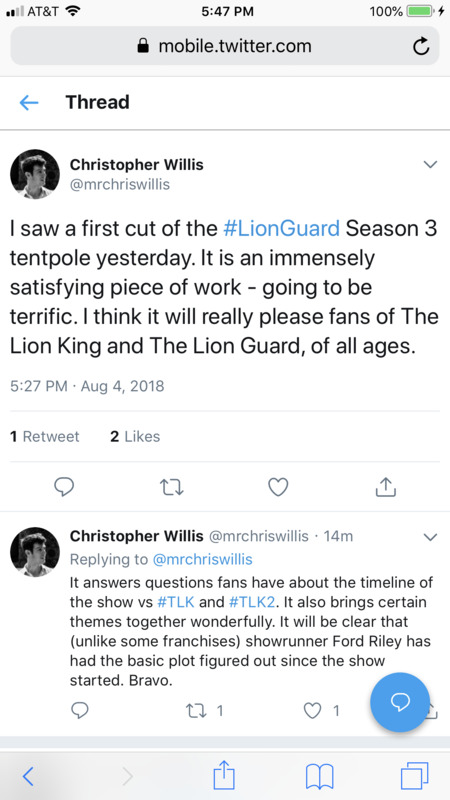 This confirms what I had always assumed, They anticipated the major questions that would arise when they chose to make The Lion Guard a midquel to Lion King 2. Thanks for sharing. It should be interesting to see how it connects with Simba's Pride.